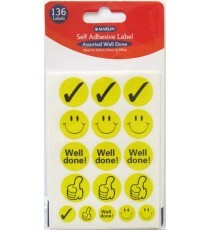 Product Lead time: 4 to 7 working days Marlin self adhesive labels - 136 assorted "WELL DONE" stickers .. 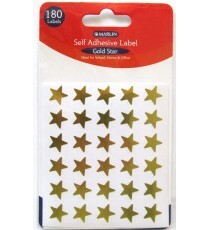 Product Lead time: 4 to 7 working days Marlin self adhesive labels - 180 Gold stars .. Product Lead time: 4 to 7 working days Marlin self adhesive labels - 180 Silver stars .. 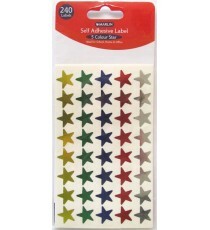 Product Lead time: 4 to 7 working days Marlin self adhesive labels - 240 x 5 colour stars Gold, Silver, Red, Blue, Green .. 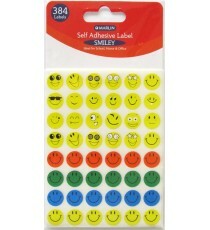 Product Lead time: 4 to 7 working days Marlin self adhesive labels - 384 assorted Smiley faces stickers .. 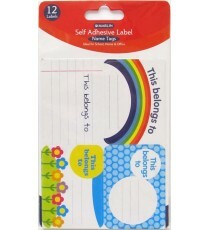 Product Lead time: 4 to 7 working days Marlin self adhesive Name Tags 12's - 4 assorted styles ..